Google Earth, we’ll begin back here, is a like a super-duper version of the flat aerial views you might have used in Google Maps. It lets you type in a location anywhere on Earth and fly there, instantly, getting an amazingly clear aerial view of the landscape. It lets you plan routes, see your house from space or just go for a virtual fly around our planet. In the newer versions of this free software download, though, the concept becomes almost hyper-real. In specific locations, you can now pan and tilt the viewpoint and fly right down to the ground to see computer generated images of selected landscapes and buildings. By moving the camera around, you can visit places and fly through them, seeing exactly what it’s like to actually be there. May 2008 brought the announcement that Disney had struck a deal for Walt Disney World Resort in Florida to get its very own complete Google Earth 3D recreation. At the same time, we got a tiny snippet in most news articles simply stating: “Plans call for similar tours of Disneyland Paris to be produced”. Even if you’ve never been to the Orlando resort, with the Walt Disney World recreation you can explore all of its’ parks as if you were there, with the Cinderella Castle, Tree of Life and almost every inch of the Imagineered landscape “popping out” of the flat Google Earth aerials. 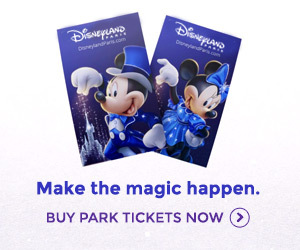 What’s more, if you hover around one of the attractions and click a special icon, you get a special Disney-created pop-up with an excerpt from the attraction’s page on the official Walt Disney World website. And the Disneyland Resort Paris version? We’re in luck — the latest issue of annual passport magazine Envie de+ has confirmed an official launch date: 28th March 2009! But that’s not all. You can see how Walt Disney World looks right now by downloading Google Earth, but how would the parks and lands of Disneyland Resort Paris be imagined in Google’s 3D software? Space Mountain with the giant Columbiad cannon… Le Château de la Belle au Bois Dormant in all its extravagance… Crush’s Coaster, Indiana Jones et le Temple du Péril, Adventureland Bazaar and other unusual sights? And here are those preview images up-close! Here we see what Le Château de la Belle au Bois Dormant, Crush’s Coaster and The Twilight Zone Tower of Terror will look like in the software when you’ve flown right down to the ground and tilted the camera upwards at these famous Disney landmarks. Pretty amazing, right? Join us on 28th March 2009 to discover the rest of the magic! Hi – it says join us on 28th of March 2009 to discover the rest of the magic – I had a look on google earth and it hasn’t been updated? Do you know when 3D dlrp launches? Disneyland Resort Paris in 3D on Google Earth has apparently been postponed indefinitely due to several technical issues they still need to overcome… or something vague like that.